How Far is Mega Stone Sai Villas? 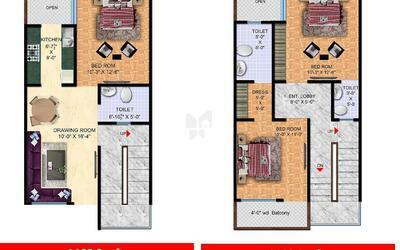 Megastone Developers presents Sai Villa’s in Yamuna Expressway. 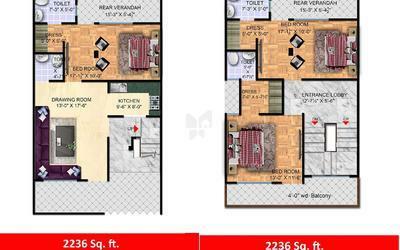 These double storey villas are further expandable as per your wish. Covered by greens offering great sensory pleasures courtesy International Night safari on one side and Formula 1 Racing Track (Buddha International circuit) and international sports stadium on the other side which increases the prominence of the locale. The place where Luxury meets Nature. The villas are located very near to proposed International Night safari stretched in 250 acres of lush greens. With a maximum capacity of 79 villas the project offers its own club with tot lots for kids, gymnasium & swimming pool. Round the clock security, nearby market with four different ATM’s is an added attraction. The construction of the villa’s is shipshape and providing all the basic amenities have been kept in mind. The exhillirating environ surrounding the place makes it a boon for the residents to live in Sai Dham. Circumambient are Galgotia University, Noida International University, F1 Racing Track, International Cricket Stadium, International Hockey Stadium & supertech Upcountry along with the main market of the locale.